I don’t like review days before exams. I’d much rather spend that day after an exam analyzing mistakes and relearning. I find this to be crucial in promoting a growth mindset in my students. My struggle has been how to structure these post-exam days. Here’s a formative assessment idea that I’ve used a few times this year. The day after an exam, I set up the room in 3-5 stations. Each serves as a place to study a particular concept that was on the exam. My bell ringer asks students to check their exam performance on the bulletin board in the back of the room. It lets them know for which concepts they earned proficiency. I also email the kids their performance immediately after assessing the exams, but many don’t check. I hand back the exams and they move to a concept that they need help with based on their performance. If they have earned credit for every concept on the exam then I ask them to float and help others. At each station they use notes, each other, and the feedback I provided on the exam to analyze and learn from their mistakes. I also have practice problems at each station so they can make sure they understand the concept. I float around the room and help. Of course, the SBG data allows me to sit with students who need me most. After a student feels they have successfully relearned a concept, and I usually check in to confirm, they can retake that concept. The retakes are in folders in the corner – students grab one and do it anywhere in the room. They submit it and begin working on another concept, if necessary. It doesn’t matter how many concepts a student retakes during the period, but it usually works out to be 1-2. Before I did this activity I was concerned that since the stations would be full of students that struggled on a concept that they would all sit together and get no where. This hasn’t been the case. The kids are diligent to relearn. This may be because they like retaking exams and earning proficiency during class time, as I usually make them come after school to do this. It helps that the relearning is targeted and individualized to each student. Plus, it’s all formative. They go wherever they feel they need to. They assess themselves, but use one another in the process. It can look and feel chaotic. But that’s the point. Improvement is messy. It’s also amazing – especially when it happens amongst your students. I'm Brian. 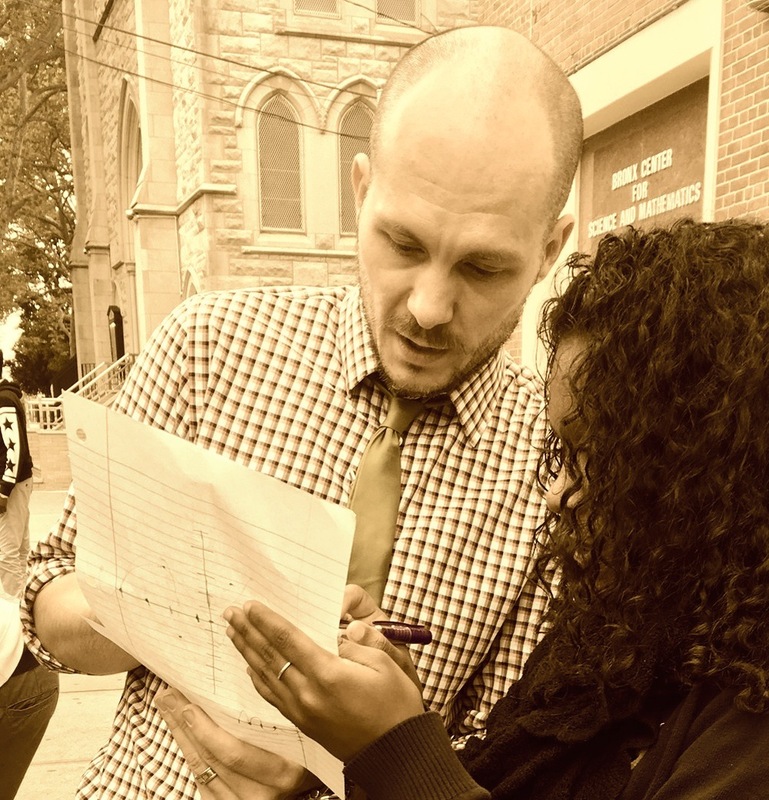 I try really hard to teach mathematics to public high school students in the Bronx. These are my thoughts.